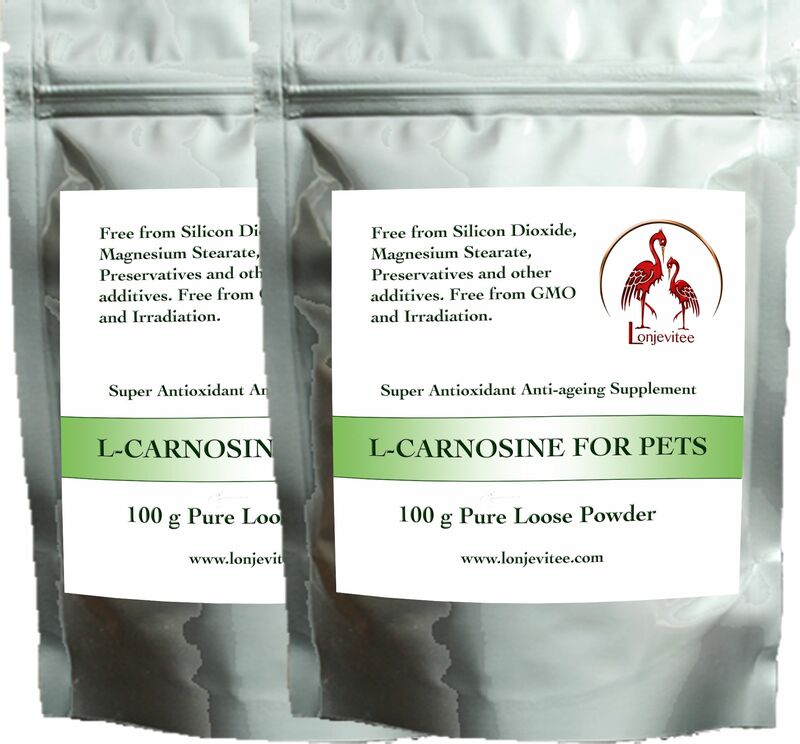 100% Pure Top Grade L-Carnosine with NO FILLERS OR ADDITIVES to maintain the health of your pet. Works on a cellular level. 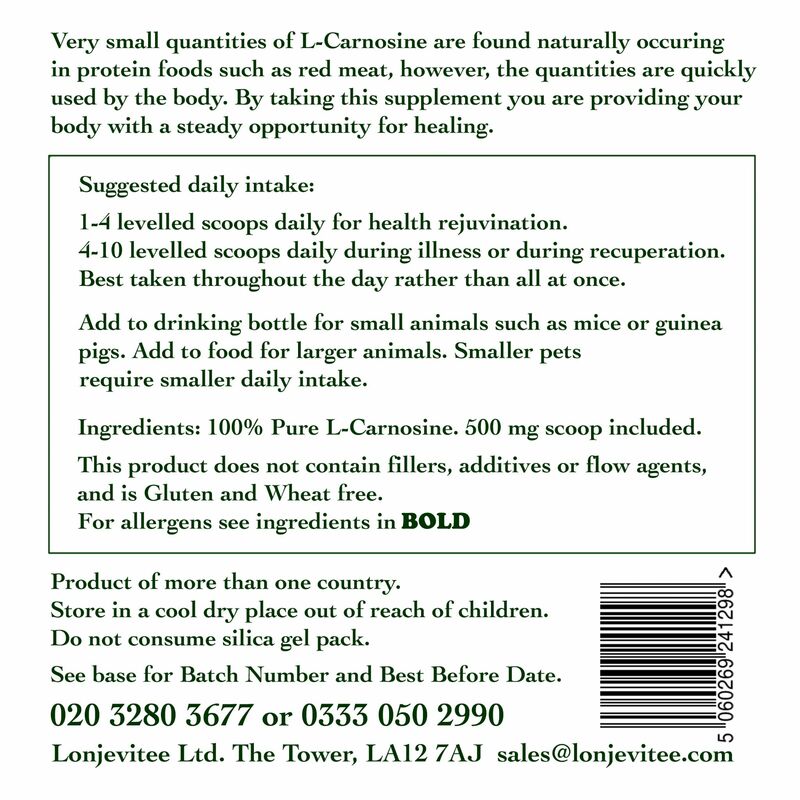 Suitable for any animal, large or small.You can tell us at checkout if you would like one for your pet and one for yourself. Free delivery will need to be signed unless customer specifies otherwise.